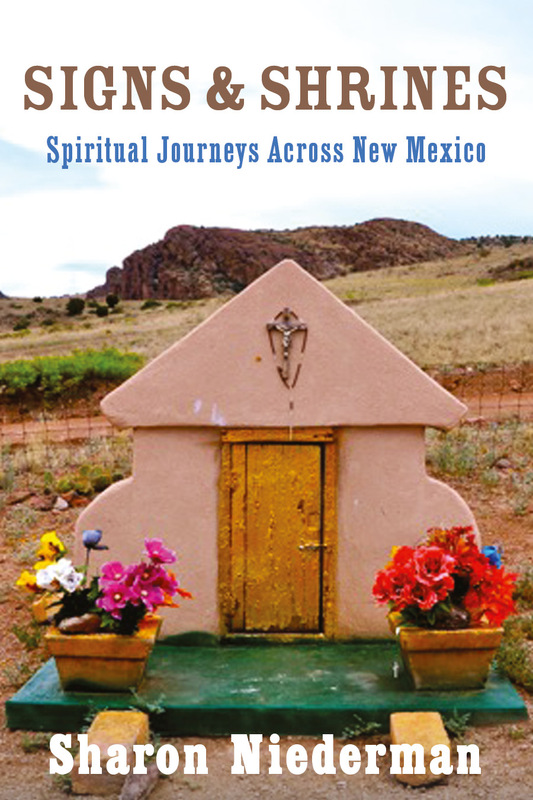 SIGNS & SHRINES: SPIRITUAL JOURNEYS ACROSS NEW MEXICO takes the reader along the ancient pilgrimage trails that crisscross this enchanted state where a rich multiplicity of cultures continues to thrive. The mysteries of sacred sites, natural wonders, power spots, feast days and festivals are explained by one of the state’s most prolific and knowledgable authors, and the book is illustrated with soulful images from her travels. In addition to providing cultural context that answers visitors’ questions about the history and practices found only in New Mexico, the author provides clear directions, maps and guidance on the best places to stay, dine, shop and recreate. SIGNS & SHRINES is an innovative guide that will enrich the experience not only of spiritual seekers but of every visitor drawn to experience the marvelous Land of Enchantment. the ones that cost you most. for love. Dress as a heart. with eyes you meet on the street. Enter the election for darling. Hello. What is your name? Love Fest: Friday, February 18, 7:00-9:00 Center for Spritual Living, Santa Fe, w/ Mirabai Daniels this will be an evening of music, story, and poetry with Mirabai, Michael Kott, and Joan Logghe….divine cello, poetry of Rumi, Kabir, and yours truly.